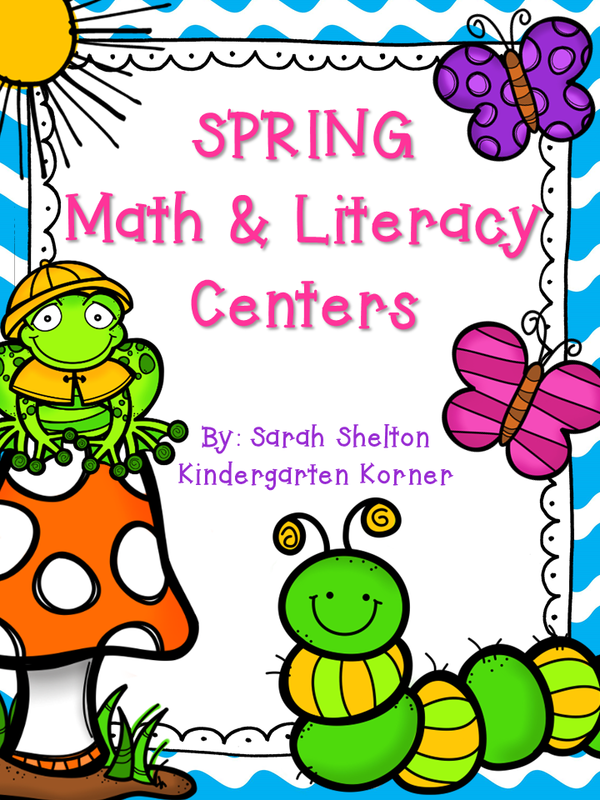 So last year I began literacy centers. I had been doing a few different centers (like writing, phonics, reading, etc) with 5-6 kids at each station. After blogging and being inspired from so many (cough, cough....DeeDee Wills), I decided to jump into literacy centers after fall break. That was this time last year so I've been doing those for a year now. I LOVE them. I have 9 different literacy centers including Meet with Me. You can read more about that here. Well, now that I feel like that is running like a well oiled trained, I decided to jump into math stations. I have 12 different math stations. I only do math stations 4 days a week so they visit each station 1 time. Having said that.....station 1 and 7 are the same and 6 and 12 are the same so that they visit each stations twice. There are 2 reasons for this. Our district mandates that we follow our Math in Focus curriculum and the workbooks that go with it. It isn't feasible for the kiddos to just go their once because if they visit it on Wednesday, I may have not taught the content until Thursday. Also, the district mandates that we complete so many Compass Odyssey episodes a week as well so 6 and 12 are computers. First page of our Count of Halloween page. Number word scramble from my Numbers 1-10 unit. Okay...this was last week, but look how hard they are working together trying to figure out how to link numbers in order from 1-20. Precious. I love them. Students complete Compass Odyssey math lessons correlated to their MAP scores so it is COMPLETELY differentiated. LOVE! Here is one of the IWB lessons that comes with our Math program. Um, hello. I didn't know about them last year. They are FREE! Geez! 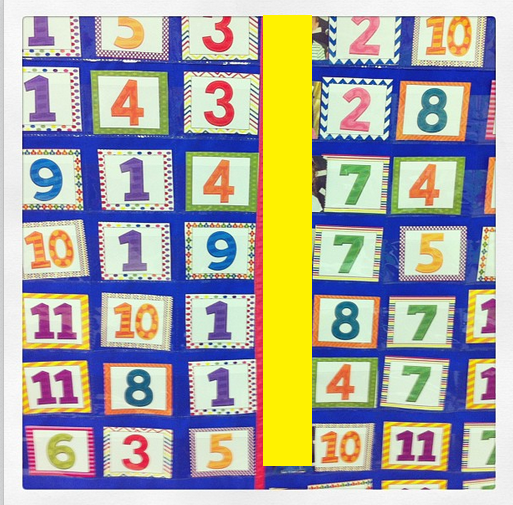 Matching to figure out which has more and how many more. So great! 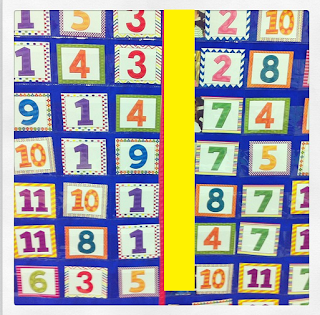 This was a lesson on matching numbers to objects to cards. Love! 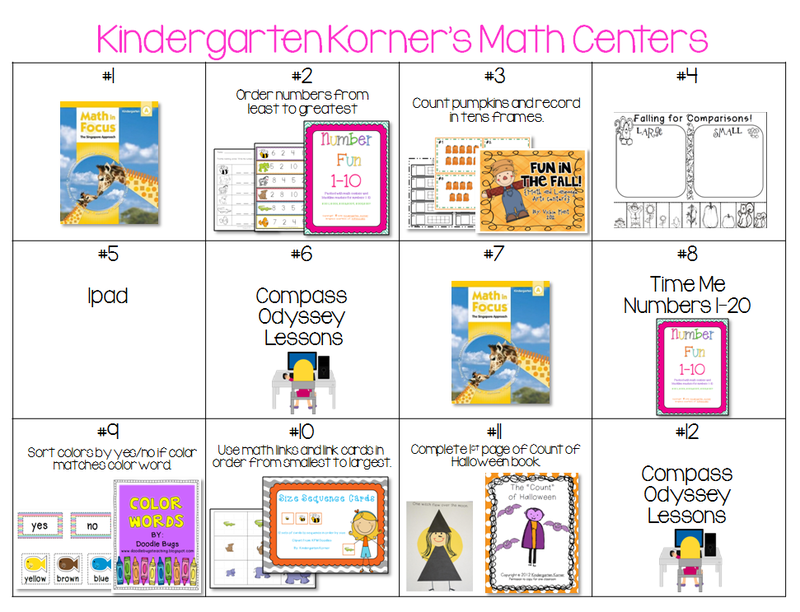 To say I am THRILLED with how my math centers are going is an understatement. They are so hands on, excited, and engaged. When I say "Let's begin centers" they all go "YES!!!" Win, win for both of us! :) How has your week been. 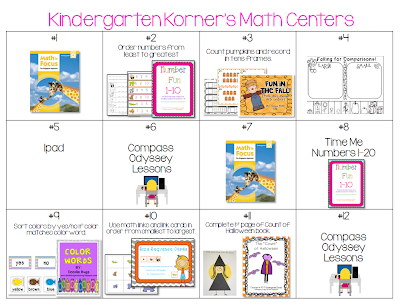 Do you do math centers? Now, to the giveaway. I know...that is what you really wanted to know about! 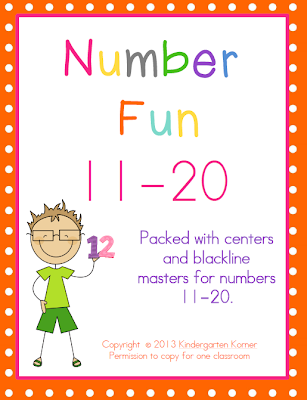 I have FINALLY finished my Number 11-20 unit that is the sequel to my best seller Number Fun 1-10. I will give 2 away tomorrow night. 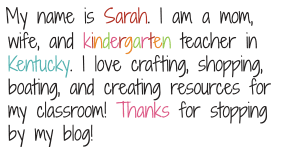 Just leave a comment telling me what your favorite subject to teach is and why. I'll pick 2 randomly tomorrow! Good luck! I love science and math. I loved those subjects when I was growing up and they have just carried over to my teaching. I love dressing as the mad scientist for big, big science as my kinders call it. I love that you never stop learning and you can always discover something new with science. I love all the different ways to teach one skill. I love finding new ways to teach math. I love teaching all aspects of reading from phonemic awareness (before they are really even reading) to phonics and comprehension. I love watching the kids faces light up when they realize they are readers! Recently I've started to enjoy teaching math but I don't feel Ike I have a great handle on the scope and sequence of math skills like I do for reading. I love teaching math! I like all the manipulatives and seeing the kids come up with ways that had never occurred to me to use them. I love teaching reading because it is so exciting when they say "I can read!" When they truly feel they are a reader is very rewarding. I love teaching math. When the light bulb goes on above their head it makes it all worth it to see "that look" in their eyes. I love teaching reading to preschoolers and kindergarteners. Very rewarding! I currently enjoy my literacy centres, though they are not quite independent enough for me to have my own group yet. I currently have a very challenging group which work best individually or in pairs, otherwise they 'annoy' each other too much. I tried to introduce math centres at the same time, but it was too much. I am concentrating on literacy and will hopefully try maths groups again soon. I really enjoy seeing the light go on in the children, no matter what subject it is. I love teaching language arts because I have a lot of ELL and it's so exciting to see them reading at the end of the year! I love teaching Science! The information and experiments are so much to learn and do! Planning math for my team makes math my favorite time to teach this year! Always looking for new ideas. Thanks for sharing! I love having guided reading groups. It is the best part of the day. I love being able to spend quality time with a small group and really see how their reading is progress. I have not moved to math work stations yet but hope to soon. Thanks for the ideas! I love teaching math even if it wasn't my strongest subject. 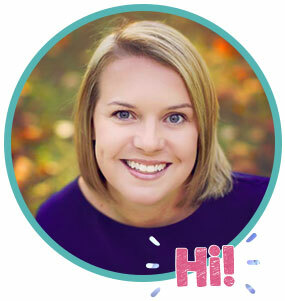 I attended the Virginia Math Conference and loved it even more. I learned about great activities to help with instruction! I love teaching math because I have grown to really love Math Work Stations and have gotten so much better with my questioning strategies. It is my all time favorite!!! My favorite is reading in general, especially guided reading! I love having that time to give my kiddos more individualized attention.